Rare postage stamp year issue - Norway. 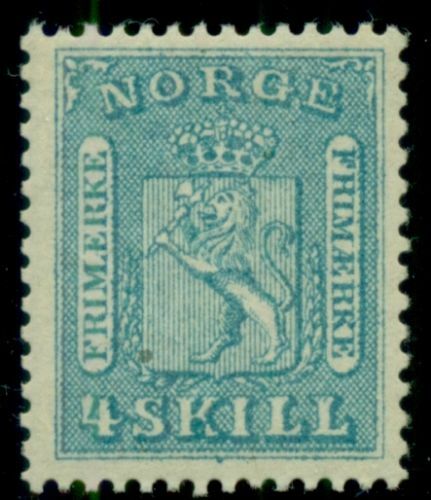 Norway #8 (8) 4sk Lion, Og, Nh, Scarce And Vf, Facit $1,450.00. Stamp price(value) 14 October 2017 - $895.00 *.